Welcome to North Palm Beach Dentistry! Dr. Paul Perella and the staff at North Palm Beach Dentistry are pleased to welcome you to our practice. We are a full-service, family dental practice with a gentle approach to your oral health. We strive to provide our patients with exceptional care in a warm and friendly environment. Located in the heart of North Palm Beach, FL, (at the intersection of US HWY 1 and Lighthouse Drive) we are proud to be a member of this historic and unique community. North Palm Beach Dentistry provides high quality dentistry in a timely and friendly manner with a gentle and caring approach. When you’re ready to make an appointment, give us a call at 561-290-1636 or use our convenient appointment scheduler located on the right side of this page. We look forward to serving you and your family! No insurance? Our VIP Plan has you covered! All for $325 per year! We now offer Zoom! Whitening, the most effective teeth whitening treatment only your dentist can provide. Make your appointment today for a free consultation. 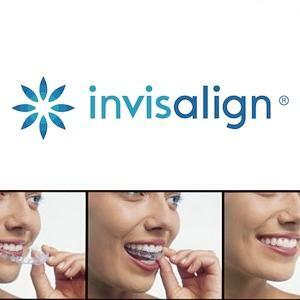 Invisalign is HERE!!! Straighten your teeth without interrupting your life. We are excited to offer this service to our patients. Give us a call today to schedule your free consultation. Click here to find directions to our practice!